One of the perils of not consulting the FSM on any job is taking a risk that might disable a perfectly good working function, like the over drive switch. 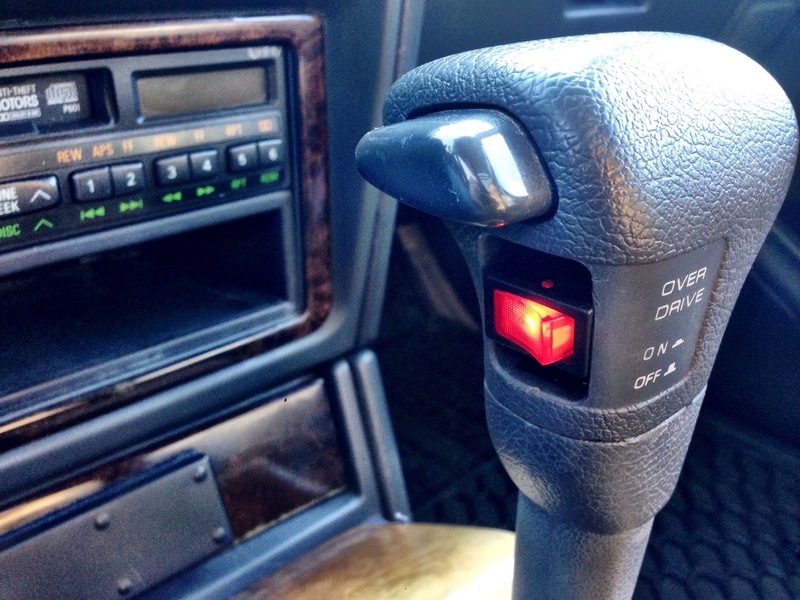 When I replaced the transfer case shifter my initial thought was that the gear selector knob would have to come off in order to get the rest of the console below it out. That’s what I had to do with my Gen III, so my reasoning was the same would apply with the 2.5. It doesn’t. I discovered that when I removed the stock over drive switch which had little slack, and when exploring inside the housing for the switch for some kind of release screw, one of the soldered contacts snapped off the switch, disabling the Montero’s ability to go into over drive. Damn. The stock switch is embedded in a plastic housing through which the wires are soldered into a small circuit board. I tried to solder the broken red wire but lacked the finesse and tools for such a tiny connection. I lived without OD for awhile during the summer, but getting back into my commute routine I wanted the high gear back, so I dug in for a fix (again, without the FSM). Once I got the console out (for the record, there’s no need to remove the gear selector, it fits through the opening of the console by simply depressing the release button), I noted the wiring path for the OD switch. My first thought was to relocate the switch on the console somewhere, but I reconsidered after measuring the hole for the factory switch in the shifter and finding a low amp switch at an auto parts store that fits well into that opening. I fed more of the factory wiring up through the shifter to get the slack needed to work and after I determined accessory and 12V leads on the switch, I soldered all three contacts (ground) and fit the switch back into the hole feeding the slack back down below the selector and buttoned up the console. It illuminates when OD is on and gives me the same control as the factory switch. Over drive gets me another 1.5 miles to the gallon, not much, but when I commute seven hundred miles a week, every one counts.